Who can tell us what incident occurred in the yellow circle in the first aerial photo below? 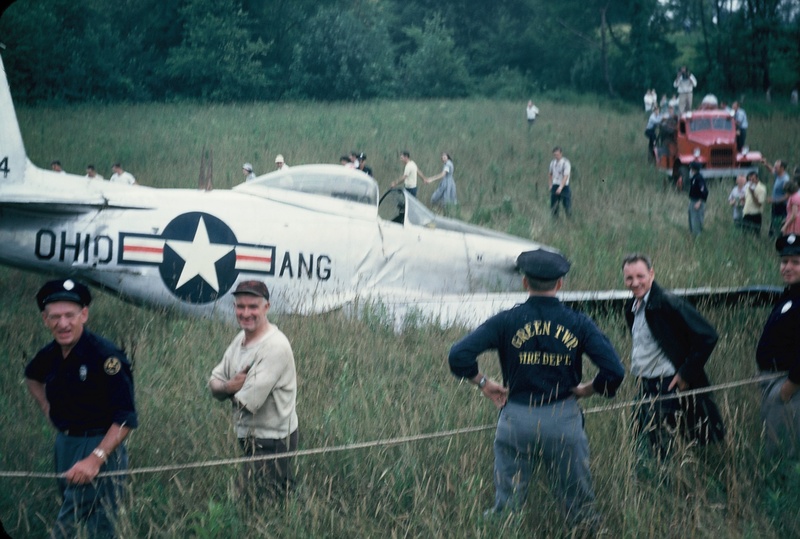 The incident occurred in the 1950's. 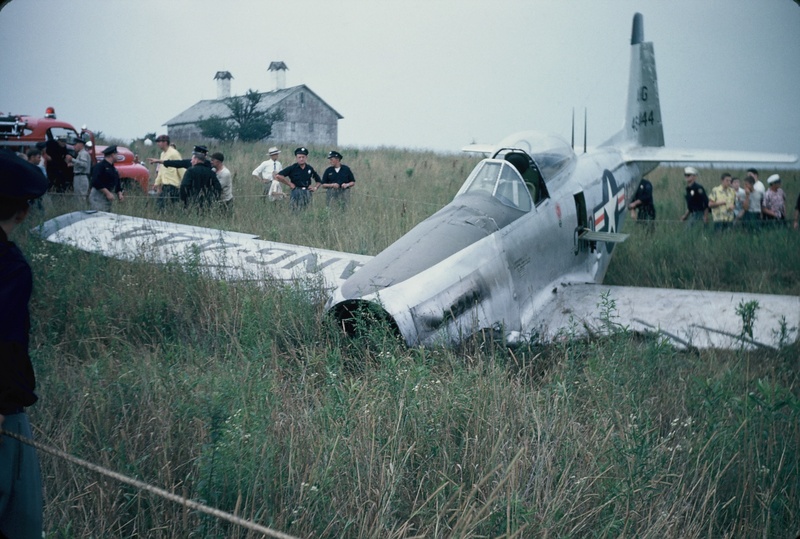 The incident occurred in 1953. 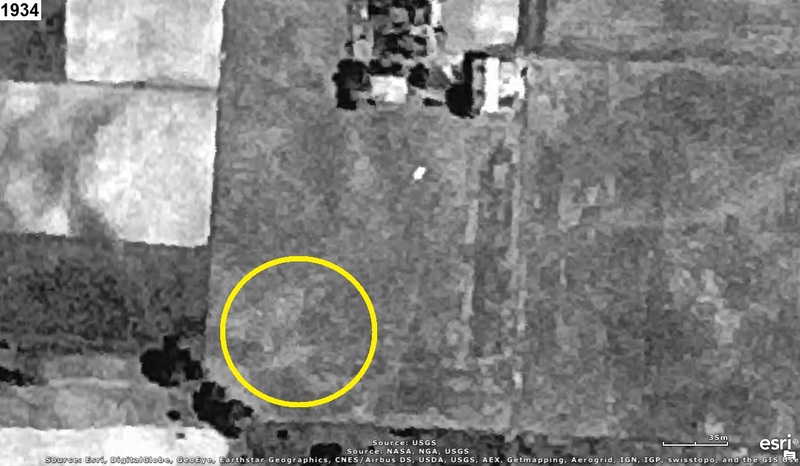 The incident occurred in July 1953. 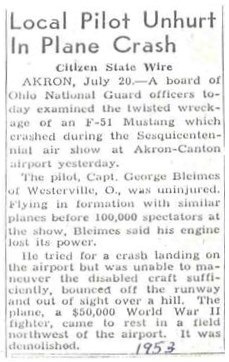 The incident occurred on July 19, 1953. Refer to Episode 17 for information about the Corsair. 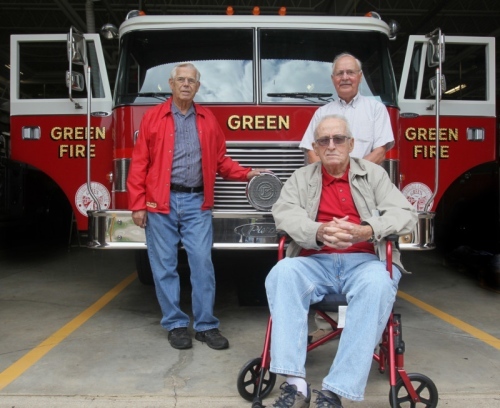 Be sure to read that interesting story and see all the photos about the Green Fire Department. 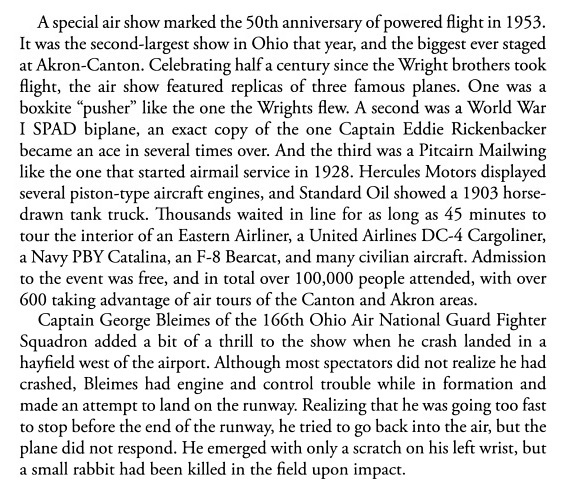 below about the Ohio Air National Guard P-51 #464444 of the 162nd Fighter Squadron. Sadly, there was one fatality: a small rabbit. the expression "Who do you think you are? Barney Oldfield?" 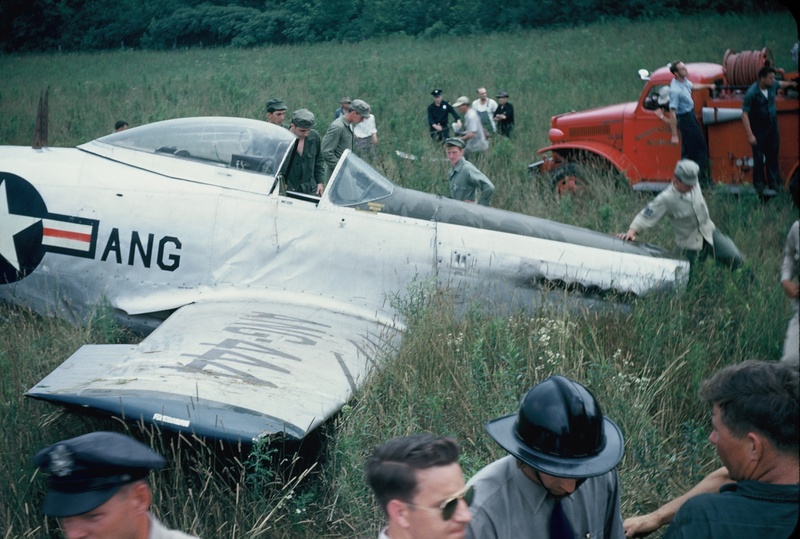 In 1948, the designation P-51 (P for pursuit) was changed to F-51 (F for fighter). transferred to the Air Force Reserve (AFRES) and the Air National Guard (ANG). nervous than the crash had. As it turned out, my total injuries were a bruised nose and a cut wrist. 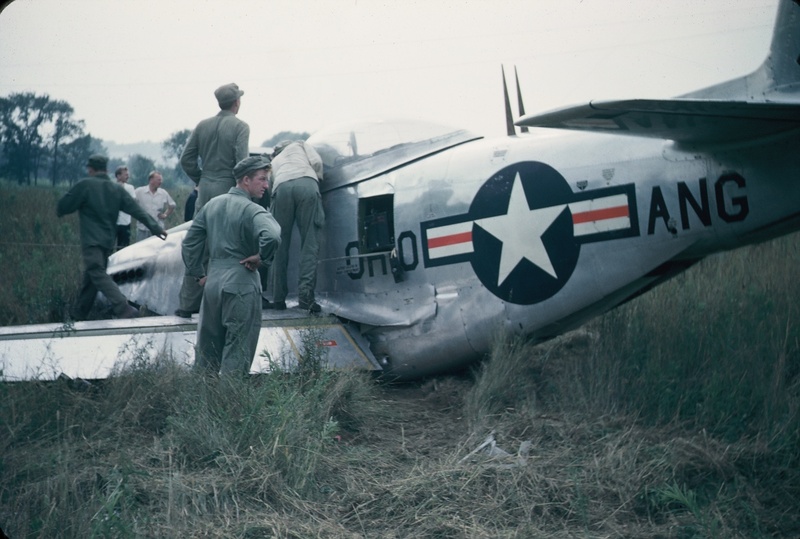 "The left wing and the propeller tore off, and the fuselage broke on both sides of the cockpit." Apparently, only the tip of the left wing "tore off". 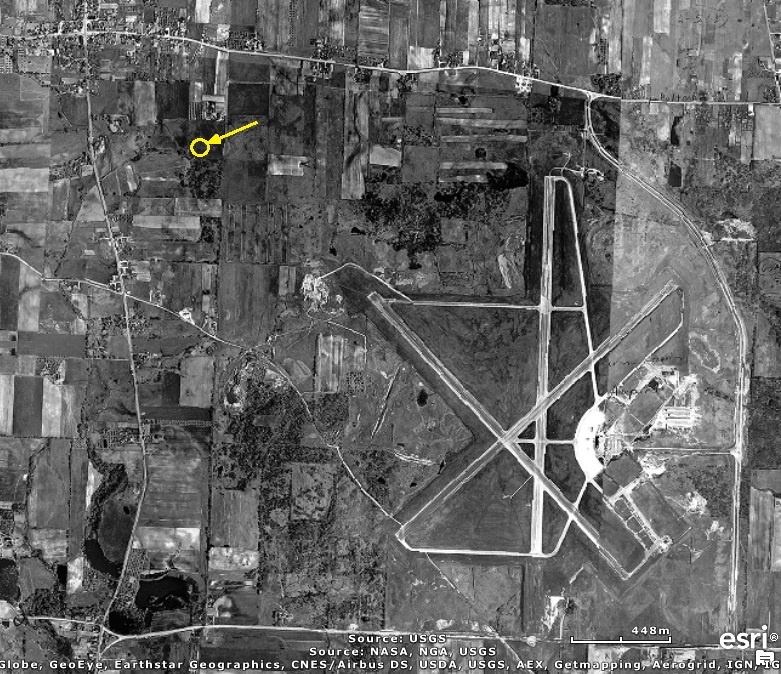 Regional Airport, OH profile� at: http://aviation-safety.net/database/airport/airport.php?id=CAK. the 162nd Fighter Squadron are included on that web page. be added to the Akron/Canton Regional Airport, OH profile.